As a Certified Small Business (by the State of California, category 821316), Bill Rolland, Inc. takes a particular interest in partnering with other, similar businesses. We believe that smaller businesses and those that have been historically disadvantaged form the backbone of our nation’s economy, and the reason so many of the products and services for which we contract are with smaller, independent businesses. We also take a particular interest in health issues through our financial and personal support of the Leukemia & Lymphoma Society. 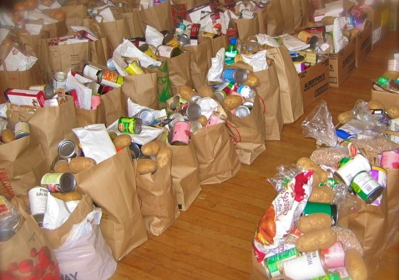 Bill Rolland, Inc. is also a regular contributor to the Food Bank of Nevada County, a non-profit food assistance agency providing food distribution and nutrition education to hungry individuals and families. Finally, we have taken a leadership role in adopting promising new “green” technologies that reduce waste and energy consumption. For example, we recently supplemented our incandescent lighting tools with cooler and more efficient LED technologies, an important step in achieving a more environmentally sustainable business model. 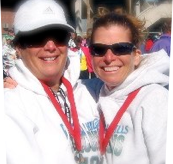 ABOVE: CFO Lisa Rolland and sister Beth Dyer at the finish line of the Phoenix, AZ Leukemia & Lymphoma “Rock’n’Roll Marathon”.